A longtime fan of Elliott Smith's songwriting, a rare week goes by where I don't consciously think of his music. Photographer Autumn de Wilde has gathered some of her shots of Elliott, and placed them among interviews that focus on the songwriter. 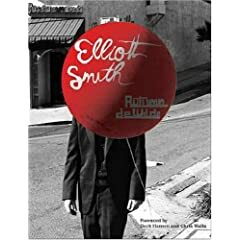 With a foreword by Beck and Chris Walla, as well as a previously unreleased live disc, not to mention the often stunning photography and examination of Smith's life through interviews with friends and fans, this is my favorite music book of the year. My next book is Naomi Klein's The Shock Doctrine.